Need parts for your pool cover reel by Rocky’s? Click here. Why Choose a Rocky’s Reel? Using a solar pool cover and reel system in combination ensures you are saving time and money as well as protecting our most precious resource…water! Consumers are tired of purchasing sub-standard products for a few dollars less and then being disappointed with the results. 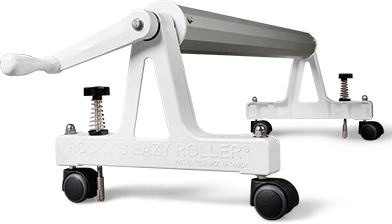 When you purchase a Rocky’s solar cover reel system you are buying a high-quality product and saving yourself disappointment and frustration in the future. 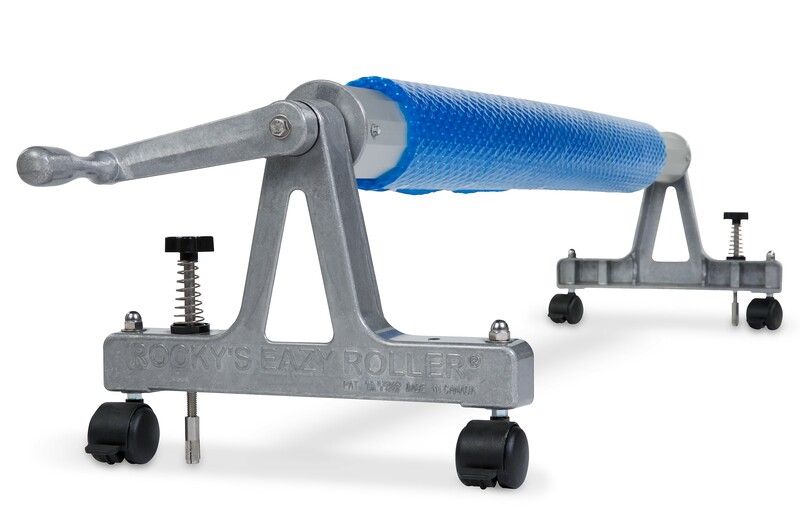 Will A Rocky’s Roller System Work For My Shape of Pool? No matter what type of pool you have (inground, above ground) you need a reel system that can accommodate your needs. Pools come in many shapes and sizes including: regular (rectangular or circular) and irregular (kidney, rectangular with square cutouts or other designs). 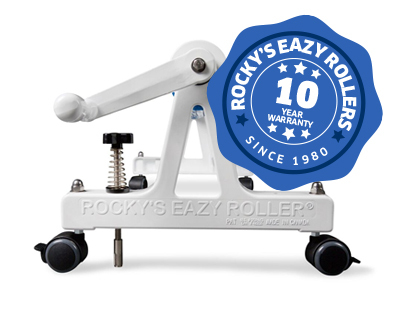 Rocky’s Eazy Roller Systems can be used with all types of pools – no matter the shape or size! Precision-crafted from sturdy die-cast aluminum, Rocky’s reel systems come in various sizes and styles to fit every pool type. From small backyard pools to large commercial applications, there is a Rocky’s system that will work you. Rocky’s pool cover reel systems work for all types of residential and commercial pools. Whether you are looking for in-ground pool cover reels or above-ground solar cover roller reels we’ve got you covered. I bought a plastic unit and it fell apart in two seasons, so I upgraded to a Rocky’s for a few dollars more and its lasted for eight seasons and still looks great. Copyright 2015. Rocky’s Reel Systems Inc. All Rights Reserved.